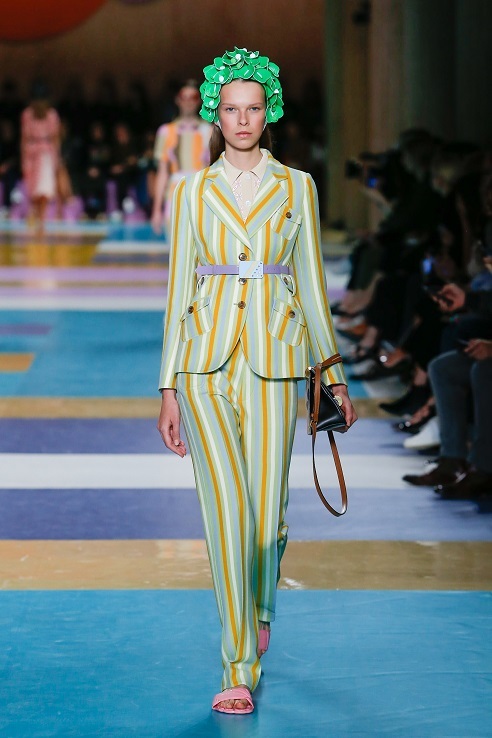 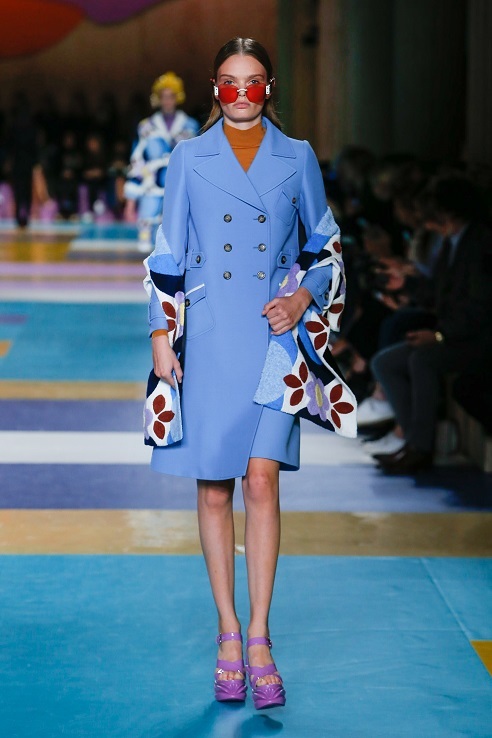 Miu Miu SS2017 collection presents a light, fresh and very feminine collection that conveys the summer, the sea and the beach with Miu Miu’s typical wit. 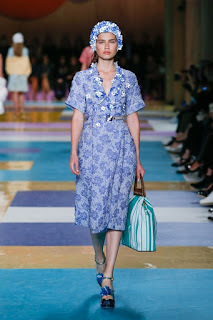 Inspired by the Italian summers of the 50s to the 70s, the collection offers smocked cotton mini dresses and bikinis, tricotine skirts, jackets and coats that open to unveil shorts or swimwear. 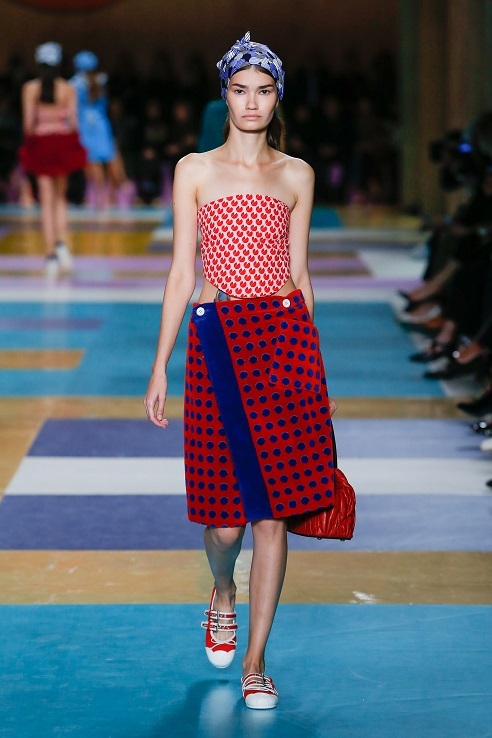 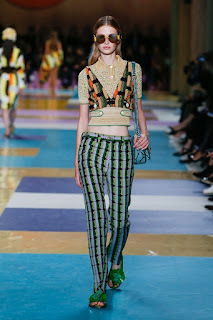 The clothes are made of printed poplin and sablé, and cloqué fabric with faint nuances. 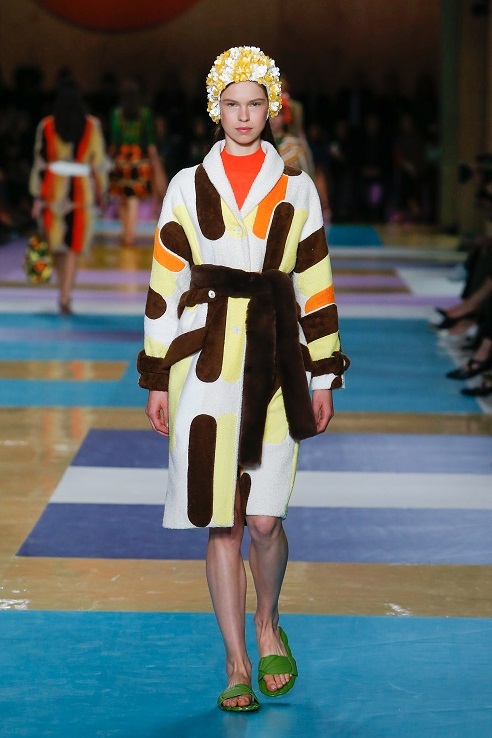 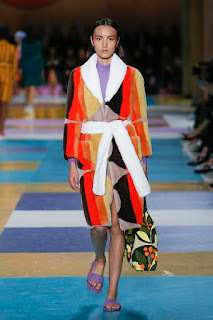 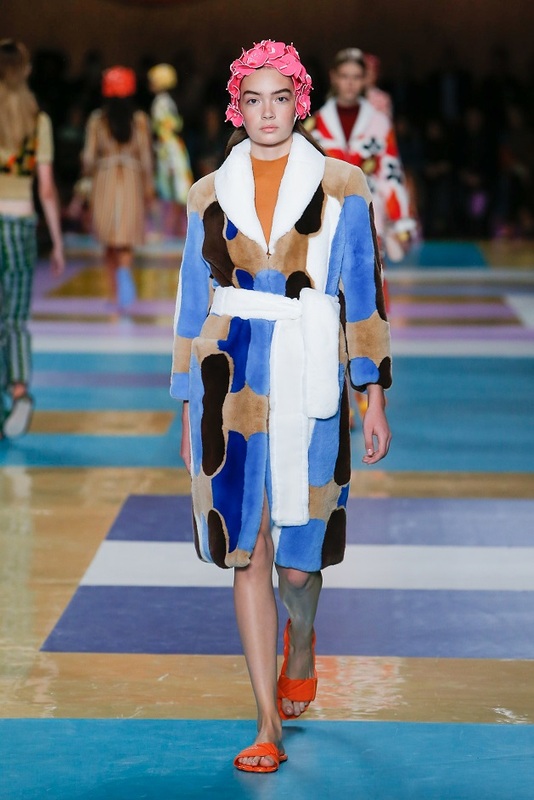 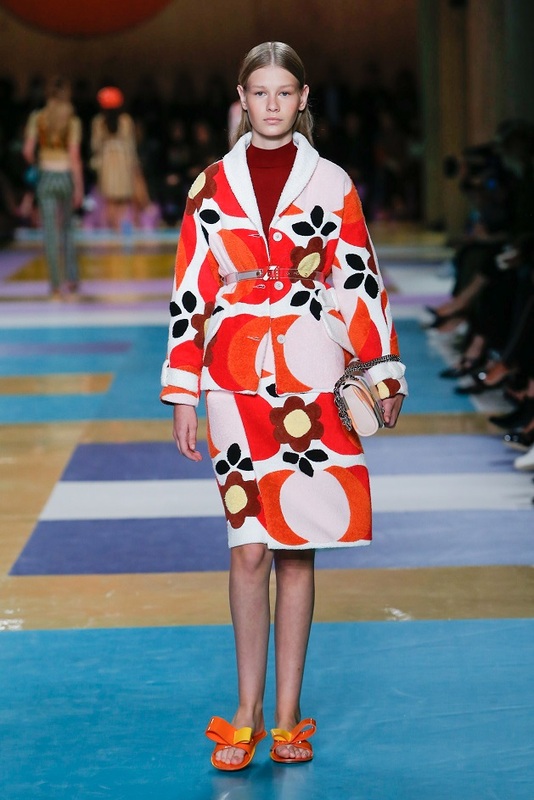 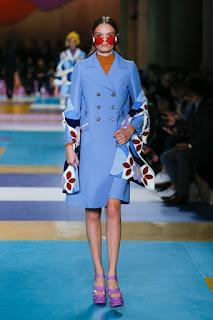 The show was full of surprises: beach towels became skirts and stoles, inlay fur and bathrobes transformed into coats where three-dimensional embroidery embellished the oilskin jackets and overcoats. The glamorous nature of the collection is completed and accentuated by multicoloured swimming caps – with flower and embroidery appliqués, worn as hats for both day and night looks. 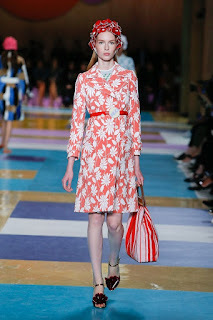 In terms of shoes, the typical beach slides were there in force – made of plastic or patent leather with flower and flake appliqués but there were also two-tone clogs with simple lines, rubber or transparent Plexiglas wedges and high-heeled sandals with decorative appliqué. The two-tone ballet flats with contrasting white rubber soles were not to be missed. 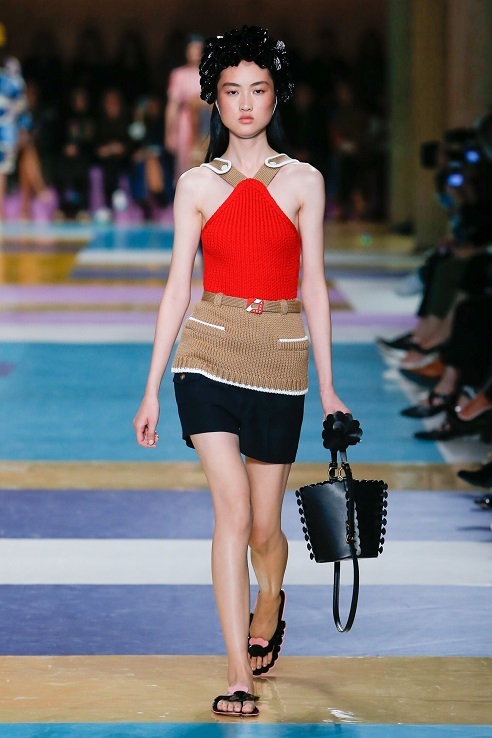 In terms of bags, clutches are essential – made of the iconic nappa leather with matelassé motif, Plexiglas material or printed canvas with crystal appliqué as are the totes, which come in various printed fabrics, matelassé and leather. 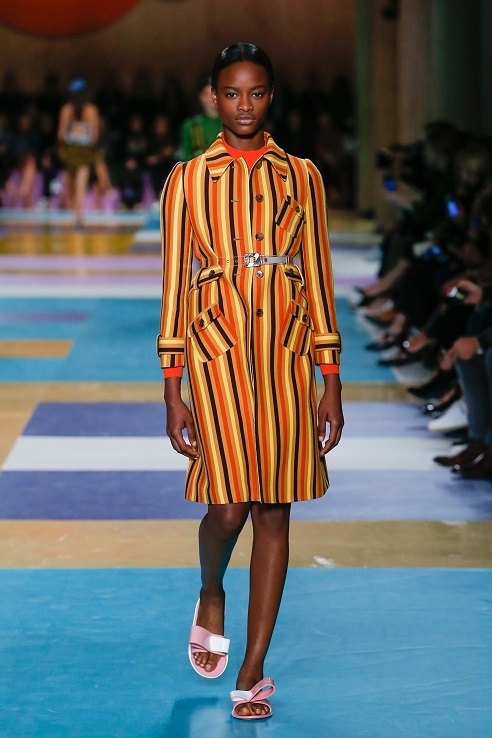 As always, the show was set in the Salle Hypostyle in the Palais d’Iena – an emblematic Parisian building, designed by great architect Auguste Perret and reinvented by Rem Koolhaas’ AMO to create an artificial summer landscape. 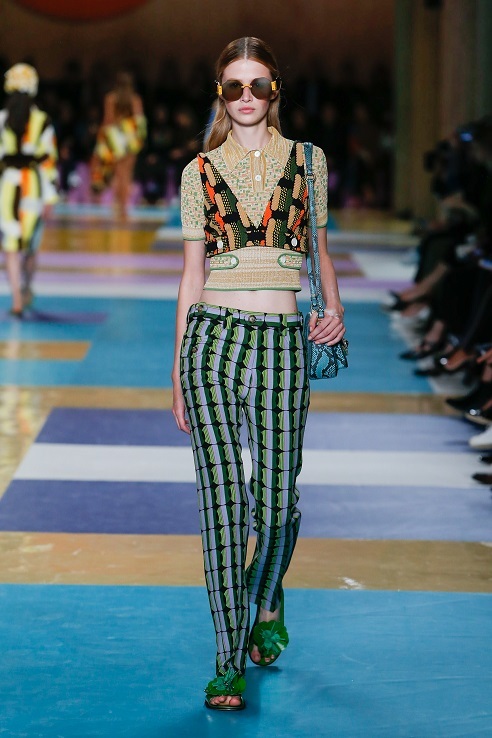 An interweaving pattern made of matte and shiny PVC motifs covered the floor and catwalk, in places continuing up to the tribunes and walls. 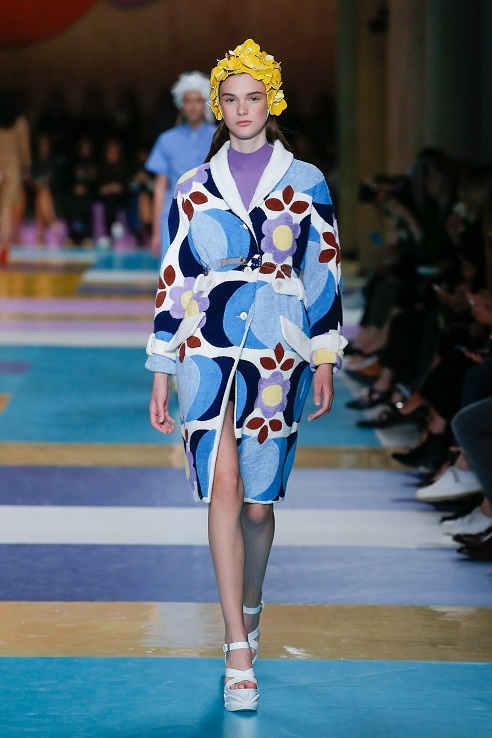 A series of graphic illustrations recreated naive and colourful landscapes, reminiscent of summer settings.